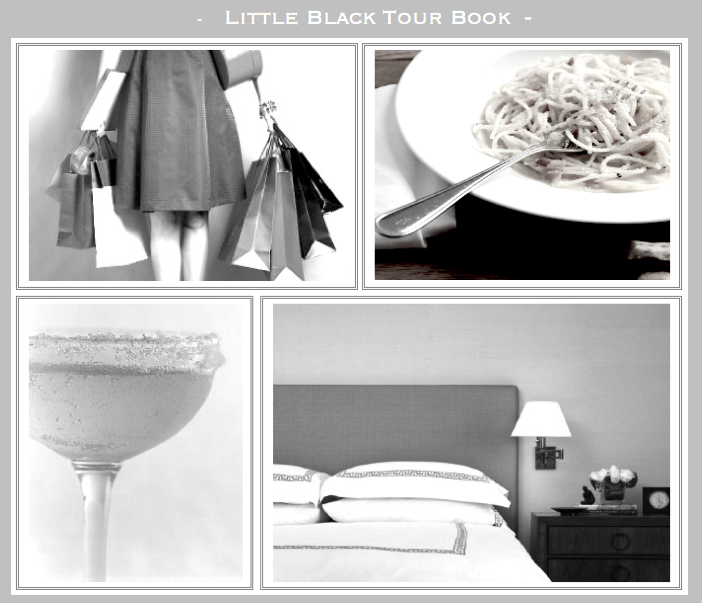 The Resident Tourist: Little Black Tour Book . . .
romantic spots to spend time with that special someone. Click the links below to be directed to each pick's site. What's more romantic than a visit to the most iconic jewelry store in the city? Every girl loves to get a little something in that turquoise box, perfectly wrapped with a neat white ribbon. And if you don't feel like spending the money, maybe you can pull a Holly Golightly and get something engraved. Hey, it's worth a try, right? One of the top rated restaurants in the country, eating a Per Se is truly a dining experience. A table for two with sweeping views of Central Park is just about as wonderful as it gets. You are sure to enjoy every bite of your nine course meal as an attentive and Armani-clad wait staff ensures your experience is nothing less than perfection. If you tell them it's a special occasion, they might give you a tour of the outstanding kitchen - which has flat screens that stream live footage of Thomas Keller's other three Michelin star restuarant, French Laundry. Nothing says romance like strawberries and Champagne. A bar dedicated purely to the art of sparkling wine, Flute is ideal for a celebration. From Champagne cocktails to prestige curvee, this bar has it all when it comes to bubbly. Order a drink and the Strawberries and Cream (or even better, Petrossian Caviar) and you'll be in sensory heaven, snuggled into the bar's comfy couches. A stay with your loved one at the St. Regis will surely be a romantic getaway. With all the luxuries of a five star hotel, the St. Regis New York is the ultimate in service and elegance. Located in the heart of Fifth Avenue, you'll have some of the best shopping, restaurants, and theatre within blocks of the hotel. If you're interested in a little rest and relaxation, visit Remède Spa for a treatment or two. New York On A Dime . . . Colorful Cups . . .
New York Fashion Week, Part III . . .
New York Fashion Week, Part II . . .
New York Fashion Week, Part I . . .
Goodbye Ticker Tape, Hello NYFW . . .
Giants Win Super Bowl XLVI . . .
NYC At Your Finger Tips . . .